Just like how a craftsman needs the best woodworking tools, car owners​ would also need automotive tools to keep their car working properly! In any woodworking project, you’ll always have your work cut out for you. That’s because even small projects would require skill and knowledge of the craft. Cutting the wood to right size, placing joints properly and accurately, and prepping the surface for finish are just some of the things you need to master for your projects to be successful. For many projects, a low-priced table saw, a piece or a couple of hand planes, a chisel or two, and an orbital sander would do. However, as your skills grow and your projects become bigger and more complex, you’ll need larger, more powerful, more efficient, and more expensive tools. 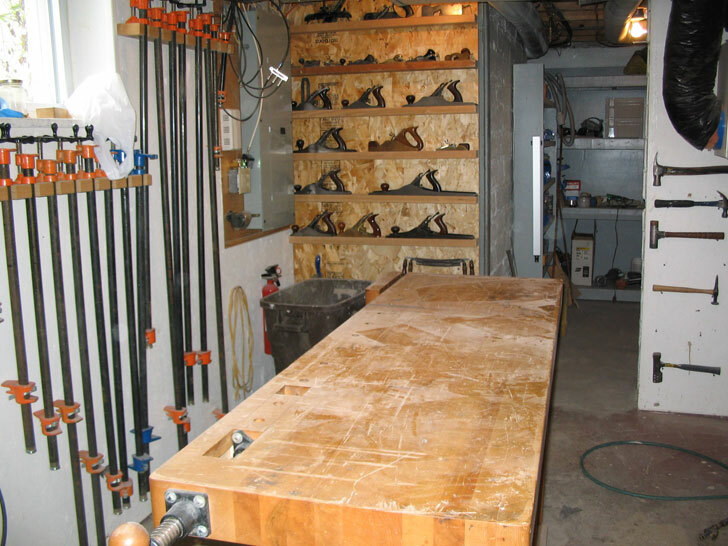 A workbench to keep your wood in place when you’re planing or sawing. You can either buy one or, if you want to put your skill to practice, try to make one. If you’ll build one, be sure to make it strong, sturdy, and heavy enough to secure your wood in place. A low-angle jack plane for rough stock removal, jointing board edges, and for smoothing the boards. A block plane for trimming your joints and end grain. Panel saws (rip and cross cut) for rough dimensioning your lumber. Rip saw cuts along the grain while cross cut cuts across the grain. Back saws for making perfect wooden joints such as dovetail joints. To cut joinery along the grain, you’ll need a dovetail saw. To cut across the grain, you’ll need a carcass saw. And to make deeper cuts along the grain, you’ll need a tenon saw. A miter box and a miter saw, which will allow you to cut your piece to square lengths accurately. A coping saw for removing waste from dovetail joints and for rough cutting shapes on your wood. A high quality bench chisel set, which is very handy and can be used for practically any project. A ¼” (or any size close to it) mortise chisel for chopping rectangular holes or mortises into your board sides so you can insert a tenon for stronger joints. A good quality 6-inch combination square to scribe dovetail joints, to check your board’s squareness, and to make sure you’ll have perfect fit for your joineries. A good metal try square about 9-12 inches for scribing square lines on your boards. A sliding bevel square or gauge for scribing angles on your boards and for repeating those angles on another board. Two pairs of compass or dividers so you can take and repeat measurements on several workpieces. A marking gauge, which also works like dividers, used for repeating measurements on several workpieces. A small tape measure or a folding rule for taking rough measurements when cutting boards. A marking knife, which will help you get into tight spaces and make accurate lines for tight fitting joints. Sharpening supplies to sharpen and hone your chisels and hand plane irons. A wooden mallet to drive your chisels with when cutting dovetail joints or chopping mortises. A shoulder plane large enough for trimming tenons and cutting rabbets. Some hand screw and bar-type clamps to hold joints together while the glue dries up. As you keep practicing your craft, your skills and experience grow, and the size and scale of the projects that you’d like or need to do also increase. This is when you should consider investing in upgrading your tools. Your budget and available space should also come into play when making a decision to upgrade. A bigger miter saw or table saw, a small jointer and planer are some of the power tools that most woodworkers would initially look for when upgrading. 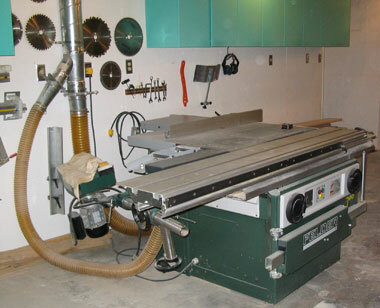 A miter saw would increase your speed while a table saw, which takes longer to setup, can make superior cuts. Routers and sanders are also some of the most common benchtools you’ll find in woodshops. A track saw, which is ideal for making rip and cross cuts on plywood, are compact and handy. They can cost as much as a table saw. Small jointers are useful for straightening edges while small planers help you clean up glue joints or prep rough timber quickly and easily. Getting a small floor model or bench model drill press would also be a good thing to consider as you can use it for most woodworking needs without much hassle. If you do a lot of resawing, a bandsaw would be of good use to you. Getting a sturdy and powerful one would be necessary if you’re working with wide boards. Band saws can also cut faster and are safer for use than tablesaws although a table saw rip is generally smoother than a bandsaw rip. If purchasing more advanced hand tools and machines would expand your capabilities and meet your needs and goals for your next projects, then going for an upgrade would be a wise decision. However, you should also weigh carefully whether a machine or just skill is needed for the project. Finally, if you have tight budget and feel that you can still improve your skills and do much with your hand tools, then you may consider saving more money and waiting a little longer until you’re capable of purchasing and using more powerful tools and machines. Interim-sized ones don’t help much in improving skills and efficiency so it’s better to go for the bigger ones if and when you decide to go for an upgrade.